Fathers, mothers, siblings, and children are not exempt from experiencing the devastating impact of addiction. Even if, they are not the individuals struggling with mental illness. Addiction is one of the myriad forms of mental health disorder that can derail the lives of family members. Such people often and correctly feel powerless over their loved one’s afflictions. Since addiction is often left untreated for years – decades even – the illness will send waves of dysfunction across the familial spectrum. It is not uncommon for the loved ones of addicts and alcoholics to develop their own set of issues. The fallout of one person’s disease can cause others to struggle physically, mentally, emotionally, socially, and spiritually. Those who love individuals affected by addiction would like nothing more than to see them seek treatment and embrace a program of recovery. However, many of those same people do not realize that a successful outcome in therapy for their loved one is helped along by familial participation. When persons enter a program of rehabilitation, they learn that almost everything in their life must change in service to progress. The same is also true for family members. The disease of addiction is regularly aided and abetted by those closest to the afflicted. The practice of enabling addictive behaviors cannot continue after discharge. Moreover, families must be instructed how to transcend the denial, shame, guilt, and fear that they feel regarding the issues facing their relative. At Hope By The Sea, we believe that long-term recovery is not reserved for addicts and alcoholics, families also require rehabilitation. To that end, we offer a program for our clients’ loved ones; our mission is to teach family members that, while they cannot change their loved one, they can make personal changes. Such alterations emphasize self-care in order to become the best form of support for their loved one’s recovery and their own. Right now is a particularly pertinent time to be discussing the far-reaching impact of just one person’s illness. 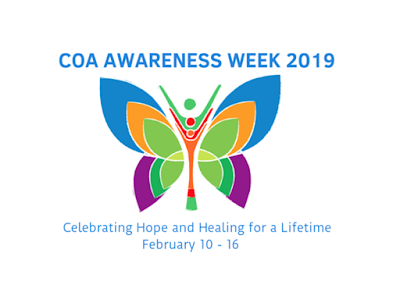 Between February 10 - 16, 2019, the National Association for Children of Addiction or NACoA is asking everyone to observe COA Awareness Week. While addiction impacts the entire family, children are the most vulnerable. Without support, youths are at-risk of experiencing significant problems now and later in life. "COA Awareness Week breaks the silence that engulfs and traps kids and teens living with parental addiction and offers the chance for children at risk to become children of promise." One in four children lives in a family impacted by parental addiction. Children living in homes with addiction are the most vulnerable population to develop addiction themselves at some point during their lives. Science validates the emotional and personal damage to developing children in these families, and without support can be passed on to the next generation. At Hope By The Sea, we specialize in helping families struggling with addiction. Please follow the link to learn more about our Family Program and discover how the miracle of recovery is possible for the entire family.